Western Australian Tammy Flynn has been chosen as April’s Castrol EDGE Volunteer of the Month. 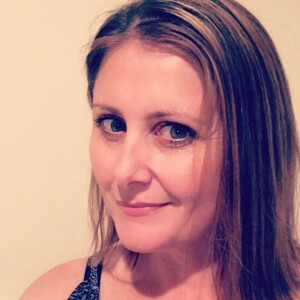 Tammy is the Bunbury City Kart Club Secretary, and like many of the Karting Australia volunteers across the country she is the Queen of multi-tasking to ensure a smooth operation of the Club. Nominated by a number of people within her Club, Tammy is seen as someone who goes quietly about fulfilling many roles in the Club and never complains, nor seeks recognition. It is volunteers like Tammy Flynn that keep the sport going – congratulations on being nominated as our Castrol EDGE Volunteer of the Month Tammy – you’ve received a Castrol EDGE Merchandise pack and 20 to be used as giveaways at your Club. To nominate someone in your club as a Castrol EDGE Volunteer of the Month, CLICK THIS LINK. One Volunteer from the nominations received will be chosen as the Monthly winner and receive a Castrol EDGE Merchandise pack. It’s not just the Volunteer who receives a prize either, the Monthly Winner’s Club will also receive 20 prize packs to give away.